You're probably aware: email blasts are the most popular and most profitable use of the lists I provide. If you do it right, email is quite simply the most cost-effective means of grabbing new leads and customers. Often, all it takes is ONE sale to pay back the cost of a single email blast. Compare that to any other advertising and you'll quickly realize how potent this weapon is. My partners at Trupro work directly with my list to provide my clients with a fully managed email campaign with transparent pricing and results. 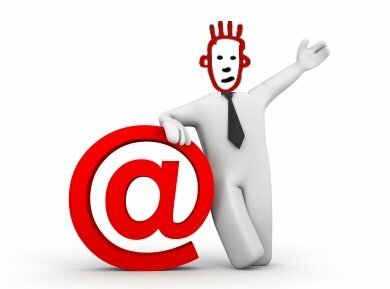 Email server set up, IP address, and sender domain name. Custom design of your email to ensure it is responsive and looks great on all devices. An account manager to provide marketing support to ensure you are reaching your goals. If you would like to discuss your campaign with us or have any questions we are here to help. You can reach us at 203-490-0367 or at rwelch@trupro.com. "Working with Trupro has been a pleasure. They have opened up new marketing avenues for us to grow our business. Their creative design and marketing skills are top notch." "I have been using TruPro's e-mail service for the past six months. The response has been very good. They helped me test subject lines and create engaging content to grow my business. We have now increased to a nationwide campaign for our loan officers."